Cleveland Indians shortstop Francisco Lindor (12) celebrates at home plate after hitting a home run during the first inning against the Detroit Tigers at Progressive Field in Cleveland. The Cleveland Indians defeated the Detroit Tigers to claim their third consecutive American League Central Division Championship at Progressive Field Saturday. CLEVELAND -- For the third consecutive season, the Cleveland Indians are the American League Central Division champions. The Indians entered Saturday’s game against the Detroit Tigers at Progressive Field with their Magic Number to clinch the division title down to one, and they played like a team ready to punch their ticket to the postseason for the third straight year. Behind solid production from all over the lineup, the Indians (83-65) scored 11 runs in their first two trips to the plate and never looked back on the way to a 15-0 victory over the Tigers (60-88), which gave them their 10th AL Central Championship since the division’s formation in 1994. With the win over Detroit, the Indians moved into a tie with the Los Angeles Dodgers and St. Louis Cardinals for the third most division championships since 1994. The Indians, Dodgers and Cardinals have each won 10 division crowns since 1994. Cleveland’s 10 division championships are the most among the AL Central teams. The three straight AL Central Division championships are the second-most consecutive titles in franchise history, as they won five straight from 1995 to 1999. Cleveland Indians starting pitcher Mike Clevinger (52) delivers to the plate during the first inning against the Detroit Tigers at Progressive Field in Cleveland. Detroit Tigers pitcher Matt Hall (64) delivers to the plate during the first inning against the Cleveland Indians at Progressive Field in Cleveland. Cleveland Indians shortstop Francisco Lindor (12) rounds the bases after hitting a home run during the first inning against the Detroit Tigers at Progressive Field in Cleveland. Cleveland Indians left fielder Michael Brantley (23) celebrates after hitting a home run during the first inning against the Detroit Tigers at Progressive Field in Cleveland. Cleveland Indians center fielder Jason Kipnis (22) celebrates after hitting a sacrifice fly during the first inning against the Detroit Tigers at Progressive Field in Cleveland. Cleveland Indians second baseman Jose Ramirez (11) hits an RBI triple during the fourth inning against the Detroit Tigers at Progressive Field in Cleveland. 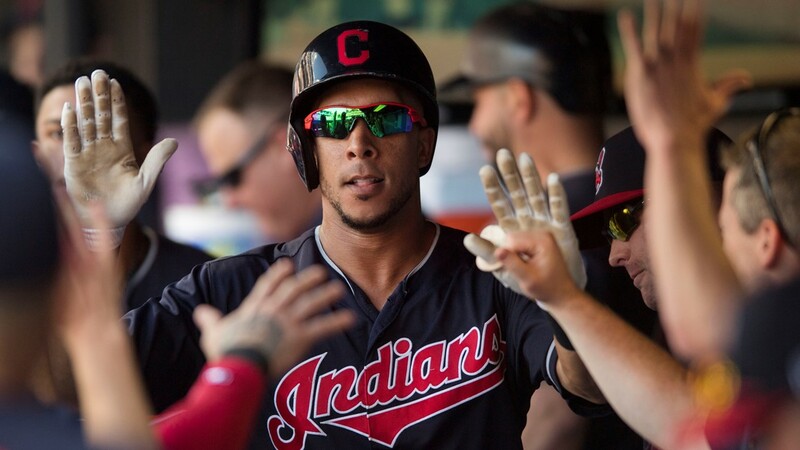 CLEVELAND -- When the bats are hot, they are hot, and for the Cleveland Indians, they are scorching against the Detroit Tigers at Progressive Field Saturday. 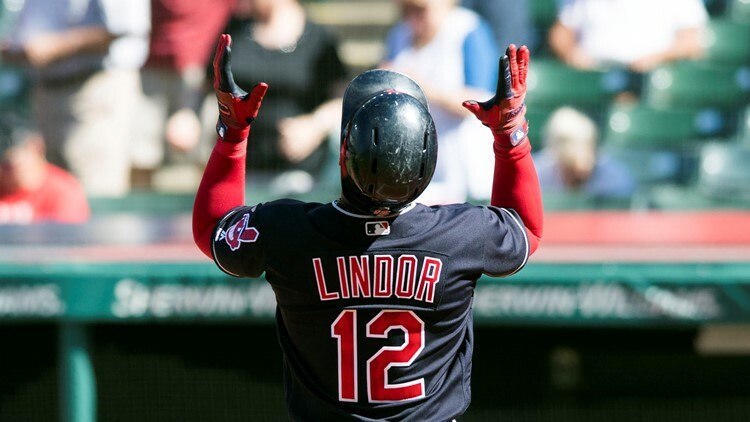 The Indians continued to pound out hits against the Tigers, and with a pair of runs in the bottom of the fourth inning, they extended their advantage to 15-0 in the clash of American League Central Division teams. Left fielder Michael Brantley was a catalyst in the bottom of the fourth inning, as he smashed a one-out single to the wall in right field, and then, came all the way around to score when second baseman Jose Ramirez crushed a triple over the head of Tigers center fielder JaCoby Jones and into the wall. One batter later, Ramirez motored home when designated hitter Edwin Encarnacion singled to center field. Unfortunately, for the Indians, it was not all good news in the bottom of the fourth inning, as when Encarnacion’s right ankle appeared to buckle as he stepped on second base after first baseman Yonder Alonso singled to center field. Alonso knew something was wrong immediately and after throwing his arms over his head, signaled to the coaches to get the training staff out to second base to help Encarnacion. 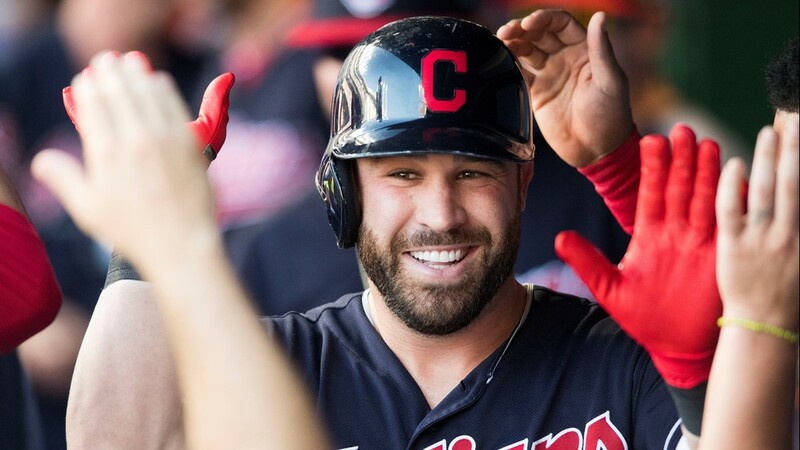 CLEVELAND -- The Cleveland Indians scored multiple runs in their first two trips to the plate against the Detroit Tigers at Progressive Field Saturday, and first baseman Yonder Alonso made sure it was three straight innings with a crooked number going up on the board. With a slight uppercut to his swing, Alonso took a 1-0 four-seam fastball from Detroit reliever Sandy Baez deep to right field and over wall for a two-run home run that gave the Indians a 13-0 lead over the Tigers after the third inning of play. Designated hitter Edwin Encarnacion scored on the home run after drawing a lead-off walk for the Indians. The home run was Alonso’s 23rd on the season and 12th in front of the home fans at Progressive Field in his first year with the Indians. 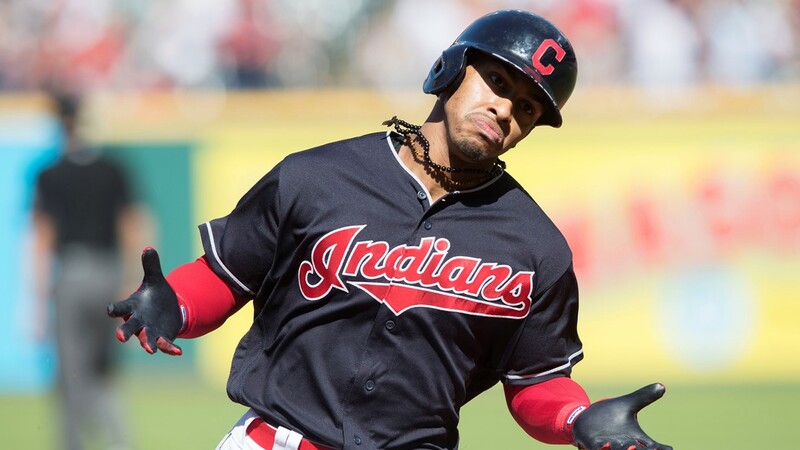 Alonso’s round-tripper was the Indians’ third of the day, as shortstop Francisco Lindor and left fielder Michael Brantley led off the bottom of the first inning with back-to-back solo home runs over the wall in right field. CLEVELAND -- The Cleveland Indians were far from done putting up runs against the Detroit Tigers after a six-run first inning, as they scored five in their second trip to the plate in afternoon baseball at Progressive Field Saturday. With those five runs in the second inning, the Indians built an 11-0 lead over the Tigers. 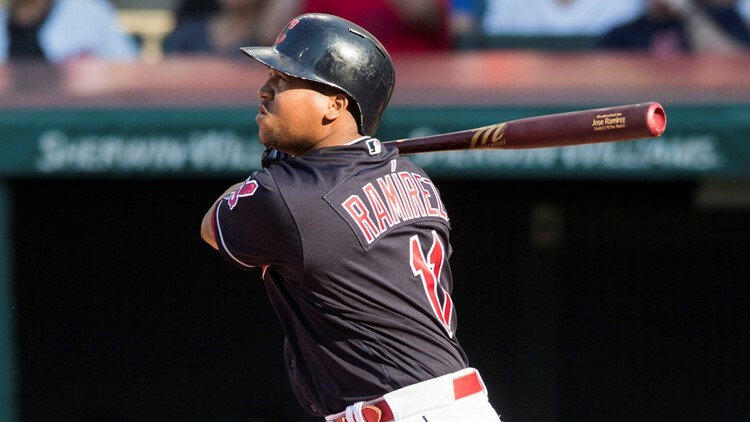 After left fielder Michael Brantley walked on just five pitches to start the inning, second baseman Jose Ramirez smashed a double to right field. Ramirez’s hit drove in Brantley all the way from first base, and after a bobble in right field, the Indians’ second baseman moved up to third. Ramirez came around to score when designated hitter Edwin Encarnacion hit an RBI single to right field off of Tigers reliever Matt Hall. Then, Encarnacion went from first base to third when first baseman Yonder Alonso drilled a single to right field. The Indians got their fourth and fifth consecutive hits of the inning when right fielder Melky Cabrera drove in Encarnacion with an RBI single to left-center field and third baseman Yandy Diaz loaded the bases with a single to right. Center fielder Jason Kipnis earned an RBI the hard way, as he was hit by a pitch, which drove in Alonso. Cabrera came around to score when catcher Roberto Perez hit a sacrifice fly to the warning track in left field. CLEVELAND -- With a chance to clinch their third consecutive American League Central Division Championship, the Cleveland Indians literally came out swinging against the Detroit Tigers at Progressive Field Saturday. Shortstop Francisco Lindor and left fielder Michael Brantley led off the game with back-to-back home runs to right field, and the Indians kept adding runs, as they took advantage of Detroit miscues on the way to a 6-0 lead after the first inning of play. Lindor turned on a two-seam fastball on an 0-1 offering from Tigers starter Michael Fulmer and smashed it over the wall for his 35th home run of the season. With the blast, Lindor set a new franchise record with his eighth lead-off home run of the season, besting the old mark of seven set by Grady Sizemore in 2008. Not to be outdone, Brantley blasted a 1-1 curveball from Fulmer into the seats in right field for his 16th round-tripper of the season. 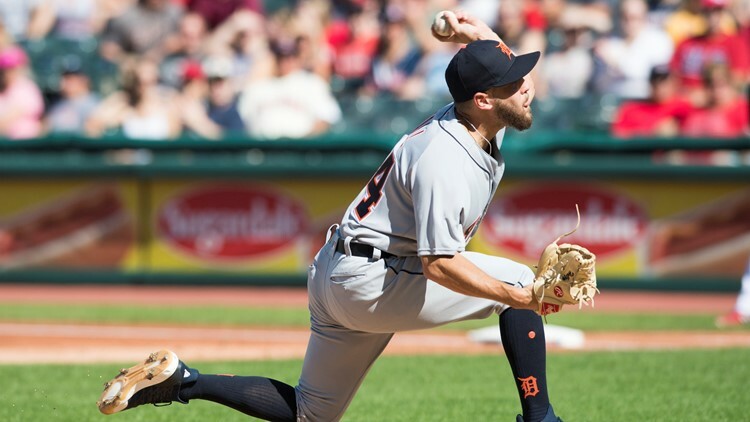 Although the Tigers pulled Fulmer from the game, the Indians were not done scoring, as they plated four more runs against Detroit reliever Matt Hall, who was making his Major League debut out of the bullpen. After second baseman Jose Ramirez singled to center field and moved up a base on a wild pitch, designated hitter Edwin Encarnacion reached on a fielding error charged to Detroit first baseman Jim Adduci. When the ball trickled into short right field off of Adduci’s glove, Ramirez hustled around third base and into home for the run. Then, first baseman Yonder Alonso hit a fielder’s choice, but Tigers second baseman Dawel Lugo mishandled the grounder and everybody was safe. Right fielder Melky Cabrera loaded the bases with a single to center field, and third baseman Yandy Diaz followed with an RBI fielder’s choice on a grounder to second. The Indians scored their final two runs of the inning when center fielder Jason Kipnis lifted an RBI sacrifice fly to left field to drive in Alonso, and then, catcher Roberto Perez flared a run-producing single to right field, which brought in Diaz. CLEVELAND -- And then, there was one. The Magic Number for the Cleveland Indians to clinch their third consecutive American League Central Division Championship is down to one heading into the second game of a weekend series against the Detroit Tigers at Progressive Field this afternoon. Although the Indians lost to the Tigers, 5-4, on Friday night, the Kansas City Royals gave them a little bit a help through some late-game heroics against the Minnesota Twins at Kauffman Stadium in Kansas City Friday night. Down by a 4-3 count heading into the bottom of the ninth inning, the Royals plated five runs in their final at-bat to seal the 8-4 win. Catcher Salvador Perez delivered the game-winning hit when he belted a walk-off grand slam over the wall in center field. 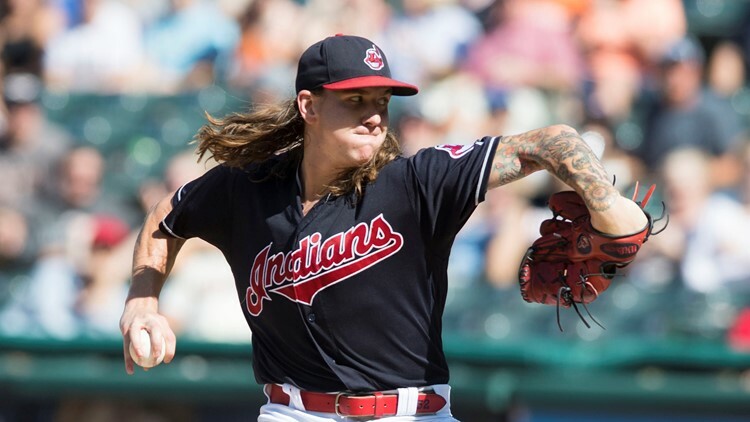 With the chance to wrap up the division, the Indians will turn to right-hander Mike Clevinger, while the Tigers will counter with Michael Fulmer. Clevinger has posted an 11-8 record with 3.16 earned run average in 29 starts for the Indians this season. Clevinger has registered 191 strikeouts against just 59 walks allowed over 182.1 innings of work in his second full year in the starting rotation. Fulmer is 3-11 with a 4.56 ERA in 2018. Follow all of the action in today's game by using the hashtag, #3Indians.